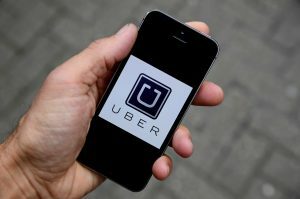 BARCELONA, Spain — Ride-hailing service Uber suffered a new blow Wednesday as the European Union’s top court ruled that it should be regulated like a taxi company and not a technology service, a decision that crimps its activities around Europe and could weigh on other app-based companies, too. Uber, which is wrapping up a particularly punishing year, sought to play down the ruling Wednesday by the Luxembourg-based European Court of Justice. The company said the decision only affects its operations in four countries and it will try to keep expanding in Europe anyway. The court decision could pave the way for new regulation of other internet-based businesses, and reflects a larger dilemma about how governments should treat companies that operate online and don’t fit in with traditional laws. The decision affects ride-hailing services around the 28-nation EU, where national governments can now regulate services like Uber as transport companies. The company said that the EU ruling only affects its operations in Poland, Czech Republic, Slovakia and Romania. In France, for example, Uber’s low-cost service involving independent, unregulated drivers is banned, but Uber operates a popular ride service involving licensed drivers that competes with traditional taxis. However, an association representing online companies warned that the ruling goes against EU efforts to encourage innovation and compete with U.S. and Asian online companies. Uber has had a roller-coaster year that included the ouster of its CEO, sexual harassment allegations, the revelation that it covered up a massive breach of customers’ data, and regulatory challenges.